This week has been nothing short of crazy. Fun photo taking with a client, lots of year-end preschool events, and Father’s Day. Since I pretty much figured out Mother’s Day for myself I have left Father’s Day events hanging and letting my husband advise me on what he’s like to do this year. 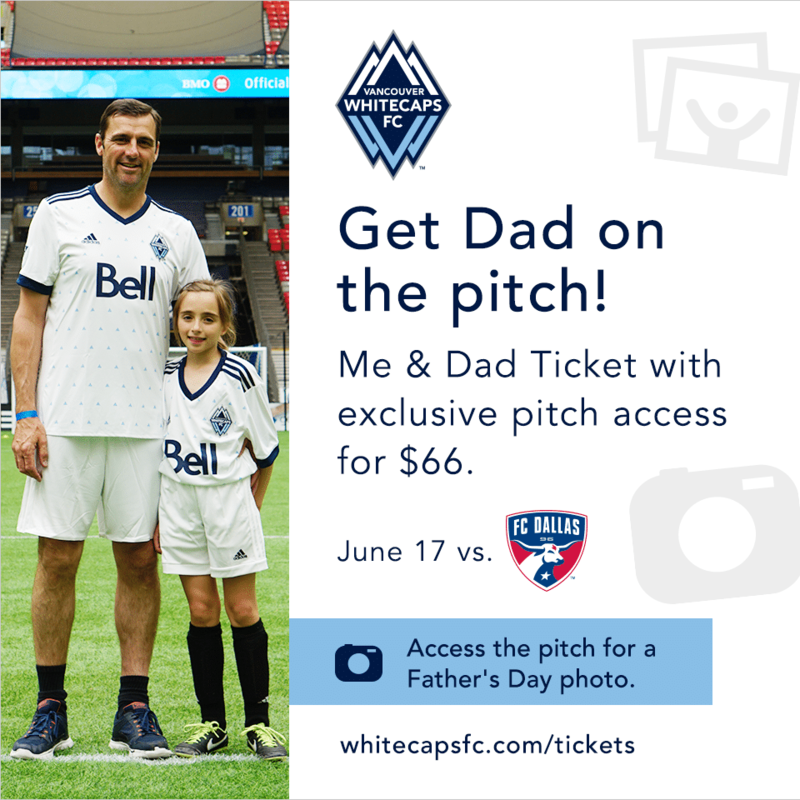 When the opportunity came up to giveaway tickets to the WhiteCaps FC Father’s Day match, I was all over creating a recipe I knew my husband would adore having on Father’s Day. 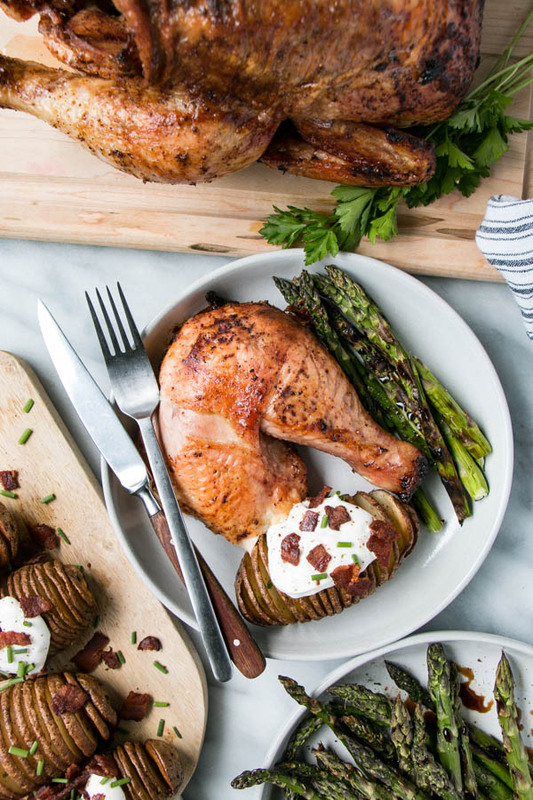 This is quite possibly his favourite way to grill chicken and the chicken is crazy juicy and flavourful. I’ve yet to have another method turn the same fantastic results as beer can chicken. Check out my IG post on how to win tickets to this weekend’s Father’s Day Soccer Match or click on the link above to buy tickets for this weekend’s soccer game. I’ve been working on the rub for this recipe for about a year now. The levels of brown sugar, including a pinch of cayenne pepper, sweet vs hot smoked paprika, all played roles in the final rub I went with here. The sweet sticky flavours of brown sugar paired with just enough tang from the celery seed and spiciness from the cayenne is pretty much what Dad wants to taste on his plate. An ice-cold beer to wash it all down and dinner is made for Dad. I know that I’m looking forward to taking the best Dad I know (my husband) to the WhiteCaps game this weekend as well. And he was super stoked that he got beer can chicken for dinner before Father’s Day (like any good Dad would). Dad’s not into chicken? I’ve got this crazy good grilled steak with charred corn salsa from last year on my mind. I’m thinking it needs to make an appearance this summer as soon as we get some good local corn. In addition to the soccer game, we have a greasy spoon breakfast and some local community events planned for this Father’s Day. All at Dads request of course. Do you have anything special planned for Dad? 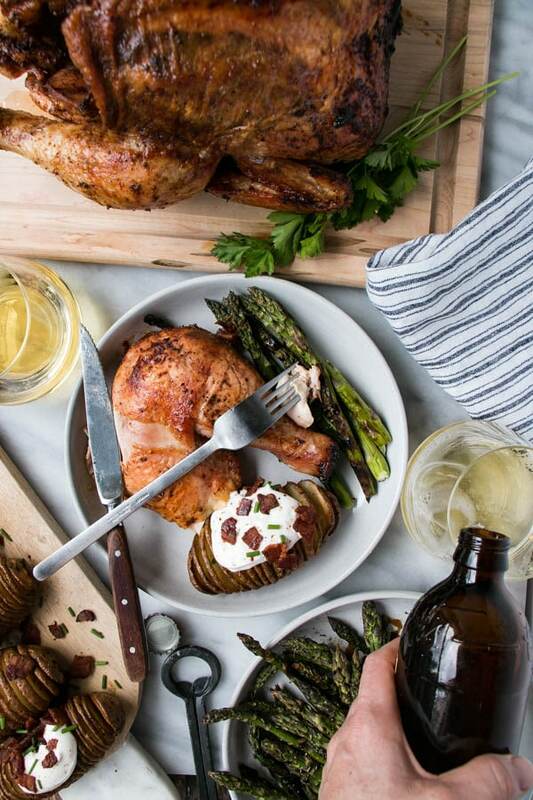 Juicy, flavourful beer can chicken. Meanwhile, toast peppercorns and mustard seeds (if using) in a small skillet for 2-4 minutes or until fragrant. Let cool slightly and then place in a food processor, spice mill, or small blender. Add cumin, paprika, brown sugar, salt, oregano, chili powder, celery seeds, garlic powder, and cayenne paper (if using) and blend until ground. Rub spice mixture all over and inside chicken (you might not require it all*). Place the chicken on top of the open, half full beer can, so that the can is in the cavity. Place beer can/chicken on top of a drip pan (I used a tin pan) and place on grill. Cook, with grill closed, for 50-60 minutes (or until an thermometer reads 165° F when inserted into the meaty thigh). Remove from grill and let rest for 5 minutes before carving. * spice mixture will keep up to 3-4 months in an airtight container. The rub sounds amazing! And your chicken is grilled to perfection!! What a great looking chicken! Perfect crispy golden brown skin!!! Sam, this looks delicious! 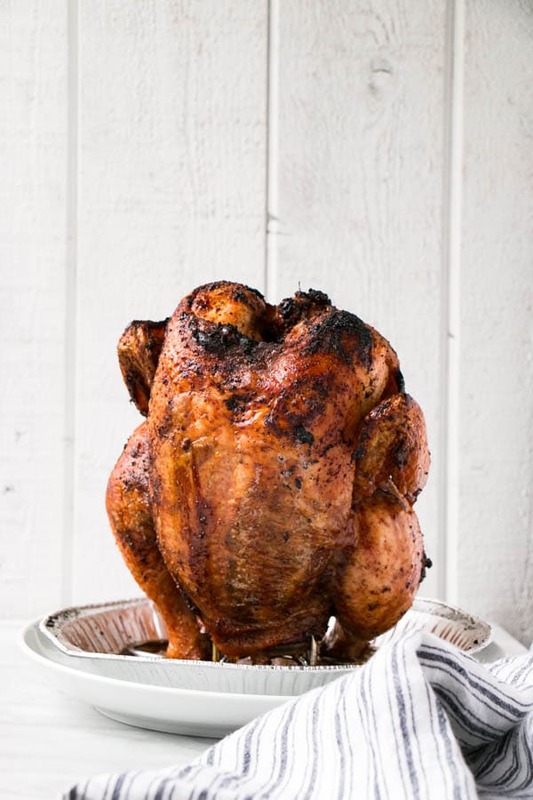 I am actually planning on a beer can turkey tomorrow (fingers crossed that the idea works out!) Fantastic summer meal! Oh, I hope it works out too! I can't wait to check it out :) We've been making it a lot this summer, it's so juicy and delicious!